This beautiful 4,545 SQFT home with great location in Gregg's Landing is an excellent value! Wake up to the pleasure of this gorgeous rear view overlooking the golf course. This home's layout is not only beautiful but practical as well. An impressive 2 story foyer sets expectations properly as guests pass the formal living and dining rooms featuring curved archways and a coffered ceiling. The main floor features a laundry/mud room, separate office, gas fireplace, and a split staircase to the second floor. The large kitchen offers table space and includes an island, double ovens, and 42" upper cabinets. Every bedroom boasts a walk-in closet, including the master suite's sitting room which could easily be converted into an additional bedroom. Huge finished basement has large recreation areas, storage areas, a full bathroom, and an additional bedroom. Click the virtual tour link for video and 3D tours. The seller will not provide a survey. Sold as is. Directions: From Gregg's Pkwy to Cypress Pointe to address. I was searching for a Property and found this listing (MLS #10147266). 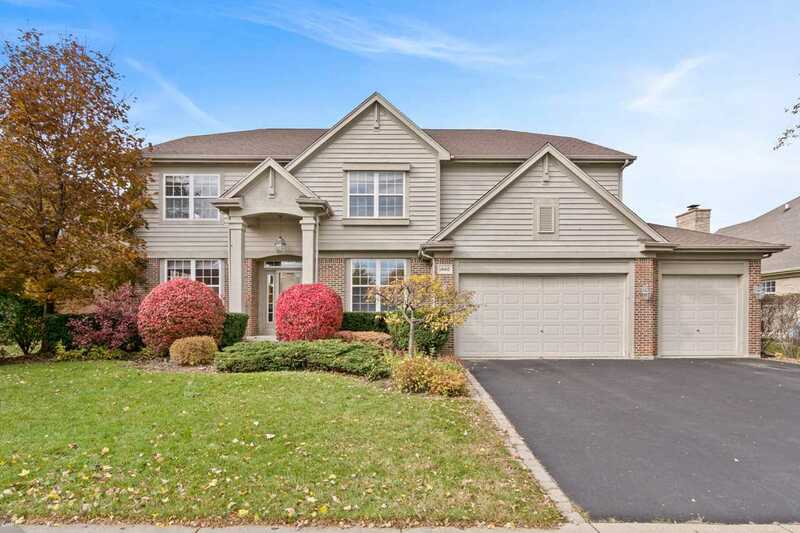 I would like to schedule a showing for 1660 N Cypress Pointe Dr Vernon Hills, IL 60061. Thank you! I was searching for a Property and found this listing (MLS #10147266). Please send me more information regarding 1660 N Cypress Pointe Dr Vernon Hills, IL 60061. Thank you!